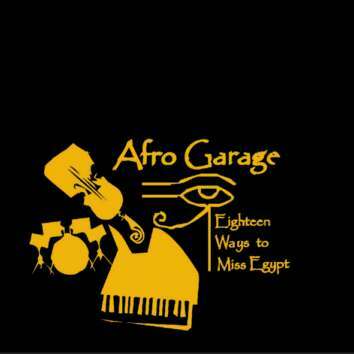 The Afro Garage Trio, Christoph Baumann - piano, Jacques Sirone - bass, voice, Dieter Ulrich - drums, bugle, plays together for over 30 years. The three musicians are very active in the improvised music scene in the different parts of Switzerland. The CD is a combination of two improvised film scores, recorded in 2005 "Thèbes à l'ombre de la tombe" and in 2011 "Thousand and One Cairo." Both take place in that arcane part of Africa commonly called Egypt. The result is a completely imaginary voyage through adventurous sounds, crazy ideas and joyful interplay. Totally original and completely unpredictable music.